My friend started her chemotherapy about 4 weeks ago now. I took her finished quilt to her after her first round of chemo. 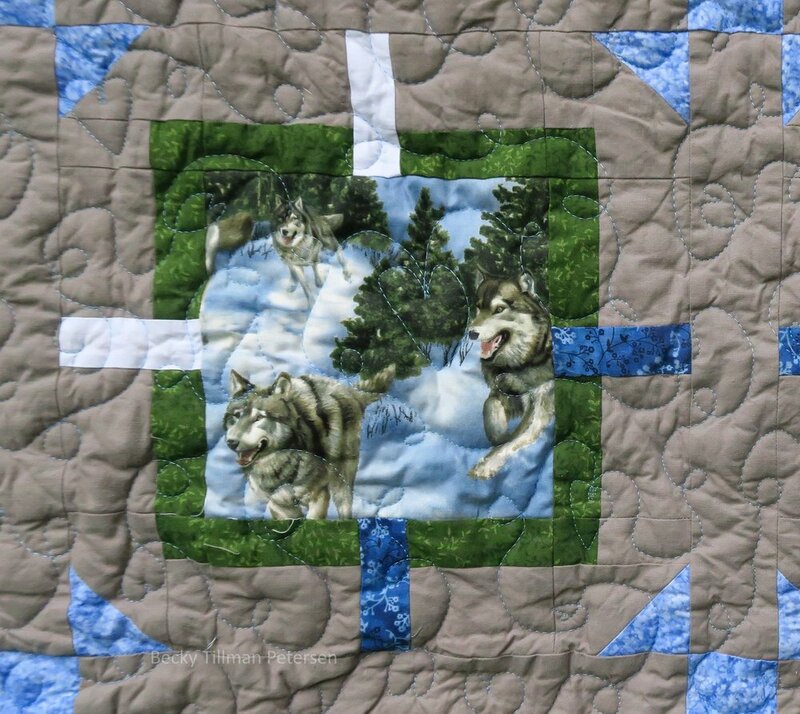 I explained to her that while I was praying for her strength, I hoped that the quilt would encourage her and that I wished her the strength of the wolves pictured. She seemed quite happy with it. I know she loves the fabric because we've talked about it before - and she's seen it. I decided to quilt it with hearts and loops - hopefully she'll notice it. She's very talented artistically - so I expect she will see these hearts. I didn't really point them out when I took it to her. In fact, if you have seen my post about the Christmas ornaments, - she worked there a couple of winters ago hand painting Christmas ornaments. 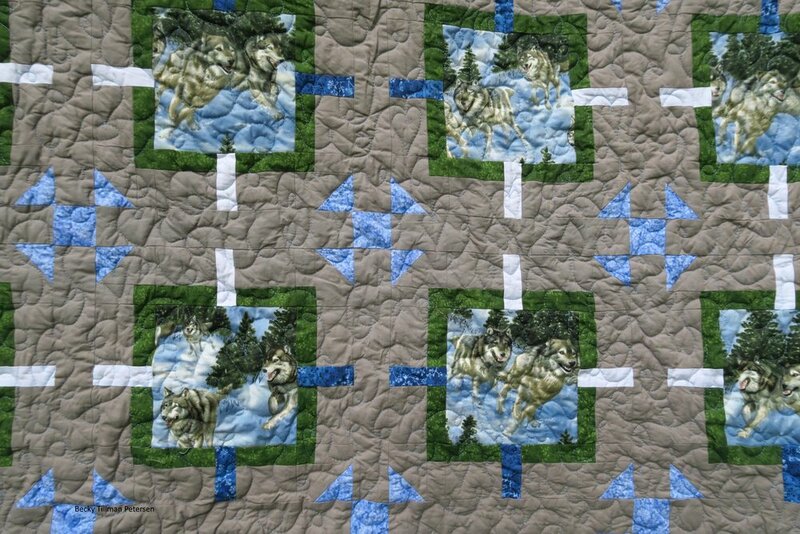 I used some of the Polish kaszubski folk fabric for the backing. I couldn't decide what to do use and decided that going safe with using Polish fabric was the best way to go. 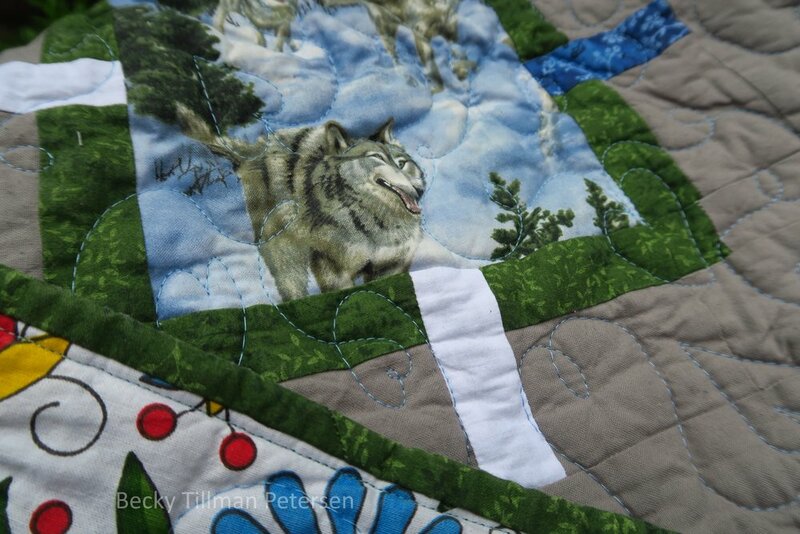 There is something very satisfying about doing this kind of quilting. In fact, it is impossible to describe! I love it. It's even more fulfilling than making quilts for people you don't even know. Truly the Scriptural observation, "it is more blessed to give than to receive" is so true! If you aren't a giver yet, let me encourage you to try it! 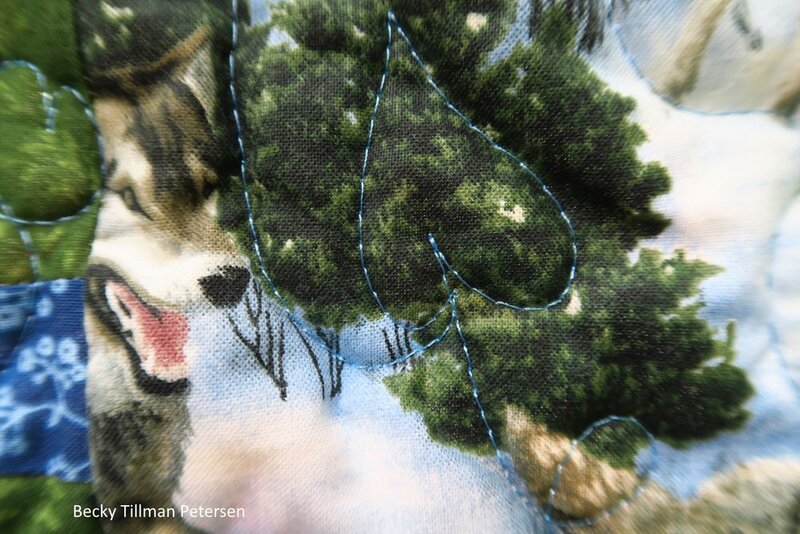 I've been working on the pattern and it is over on the free patterns page - here. Just look down the way and it is titled "Connect the Boxes". I trust you have a great day, wherever you are reading this! Be sure to check out what my sis has for you over in the store. I'm sure she has something you can use!